Chris Rawley and Austin Maness are running one of the nation’s first crowdfunding websites for agricultural investments. A trip to a Panama coffee plantation a few years ago got Chris Rawley thinking about how to make agricultural investments more available to the masses. Rawley, who has been a Texas real estate investor since 2000, contributed to his first crowdfunded real estate deal in 2014. 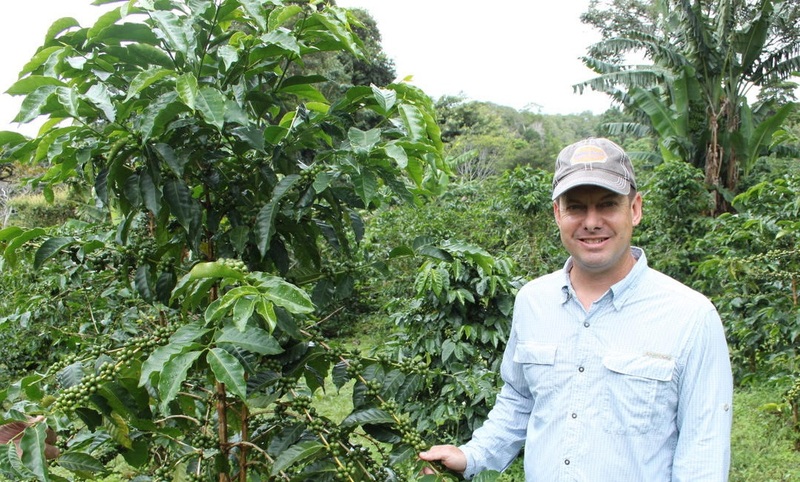 His investment in a Panama coffee plantation was a way to diversify his portfolio, he said, but in the process he discovered that investing in agriculture wasn’t as simple as funding in commercial or residential real estate. It often required large sums of money and specialized agricultural knowledge. The Panama trip got Rawley thinking more about an innovative way to simplify agricultural investing and make it more available to everyday investors. Until recently, agricultural investment has been mainly the purview of large institutional investors or high-net worth individuals. As crowdfunding platforms such as Kickstarter and Patch of Land began to pop up in recent years, the seed of an idea for an agriculture crowdfunding platform began to germinate in Rawley’s mind. Today, Rawley and his business partner, Austin Maness, run one of the nation’s first crowdfunding websites for agricultural investments. Called Harvest Returns, the company formed in the fall of 2016 and listed its first deal in August 2017. The company is for farmers who are seeking to raise between $500,000 to $3 million, do not have access to traditional USDA loans, and are focused on specialty crops, organic farming, or nontraditional livestock operations. It hasn’t been around long enough to fully fund a deal yet, but currently has three listed on its website and a number of possible deals in the pipeline, Rawley said. The company is for farmers who are seeking to raise between $500,000 to $3 million. Agriculture is suddenly a hot investment play. Mega funding investments into Farmers Business Network, Ginkgo Bioworks, Indigo Agriculture, and Plenty are redefining the agtech investment landscape, according to Forbes. Interest also is growing in ag crowdfunding although Harvest Returns as yet to draw a direct competitor. AgFunder is crowdfunding the ag technology deals sector while farmfolio is crowdfunding Latin American agriculture and offering farm shares that can be resold. Minimum investments on deals that were publicly visible on farmfolio’s website ranged from $25,000 to $100,000, higher than Harvest Returns. Harvest Returns, which is focused on middle-market specialty agriculture and livestock, has been inundated with potential deals, stretching several continents, including India, Africa, Latin America, and Texas. “We have a significant deal flow in the works,” Rawley said. The company is marketing potential deals to investors to increase interest and has put three up on its website. One is a $3 million raise for an organic vegetable farm in Georgia that requires a minimum $25,000 investment. Two other deals currently listed on the platform are located in North Texas and Belize. The company also is working on deals in India, Nevada, and several other locations. The site offers deals to both accredited and nonaccredited investors. The company just did an investor survey to see who has visited the site so far. About 75 percent are individual investors and the other 25 percent are a mix of family offices, private equity firms, and wealth management firms. The company generates revenue from listing fees and in some cases it may take a percentage ownership, called a carry, in the deals it lists. “Our goals are to close these first couple of deals and get more deals in front of our investor pool,” Rawley said. Ultimately, it hopes to expand its platform to a variety of countries and continents and continue to increase deal flow and investor interest.